Turmeric is a plant that grows through southeast Asia and is used as a spice in many Indian food dishes, being the main ingredient in curry powder. However the roots and bulb of turmeric also have potent medicinal properties and when combined with additional natural spices such as black pepper – is often used as a supplement to good health. The active ingredient in turmeric is called “curcumin”, making up about 2 to 7 percent of turmeric. 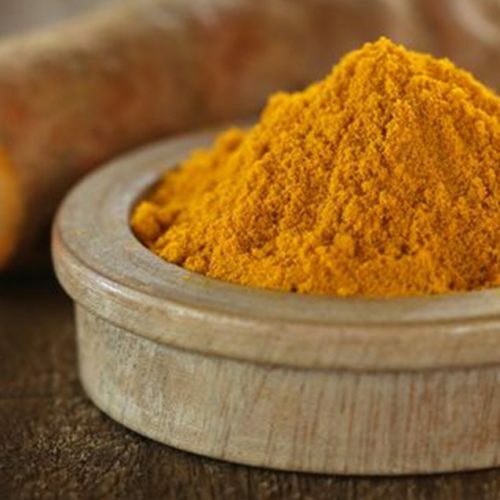 Due to the variability of the amount of curcumin in the turmeric, to achieve therapeutic benefits you will need to take a powder that is activated with black pepper. This makes the turmeric more bio-available (easily absorbed into the cells of the body). According to a 1992 report in Clinical Pharmacokinetics when curcumin was given to rats in combination with piperine (a substance extracted from black pepper), its bioavailability increased by 154%. When human volunteers were given a combination of curcumin and piperine, instead of pure curcumin, the bioavailability of curcumin increased by an incredible 2000%! Moreover, the addition of piperine was found to enhance the serum concentrations of curcumin and the extent of its absorption, both in the test animals and the human volunteers. Turmerix have adapted this concept even further producing a powder supplement that not only combines turmeric with black pepper but also including Cinnamon (great on its own for health however helps with absorption), Stevia (a leaf from nature 100 times sweeter than sugar without the negatives), Coconut Powder (good fats for absorption), Sodium Bicarbonate (very alkalizing), Green tea, Liquorice, Kelp, Ascorbic acid, Fennel, Vanilla, Aniseed, Caraway, Ginger, Clove and Cardamon to make the most bioavailable Turmeric powder possible. Dr. Andrew Weil’s article below published in the Huffington posIt he describes perfectly why we at Turmerix believe Turmerix and powdered Turmeric with the right activators (black pepper and 15 more) is far more beneficial to the body and high absorption takes place when you use all of nature and not just an extract of nature. We are proudly a food company here at Turmerix not a drug or supplement company. I have always been fascinated by the difference between plants and the drugs that are isolated from them. This goes back to my student days at Harvard in the 1960s, where I received my undergraduate degree in botany, and then went on to medical school. It’s rare — too rare, I have to say — for botanists to become doctors. The experience gave me a unique perspective on health and medicine. For four decades, I’ve been skeptical of a prevailing belief in Western medicine: when a plant shows bioactivity in humans, we must attribute that effect to a single, predominant compound in the plant. We label that the “active principle,” isolate it, synthesize it, and make a pharmaceutical out of it. Then, typically, we forget about the plant. We don’t study any of the other compounds in it or their complex interactions. Second, and this is clearly the major reason, it makes drugs far more profitable for drug companies. Isolating and synthesizing a single molecule allows a drug company to patent that molecule. Making slight chemical modifications allows further patent potential. Such exclusivity can be worth billions, whereas a whole plant offers little opportunity for profit. Expensive as it is to the consumer, this faith in “single-agent” drugs would be acceptable if they actually yielded better results. But the fact is, the natural, whole plant often has both benefits and safety that put the isolated compounds to shame. Medicinal plants contain a wide array of chemical compounds. At first, this looks like chaos, but more investigation reveals a distinct order. Natural selection pressures push a plant to “try out” variations on molecules to enhance the plant’s odds of surviving stressful environments. So, often, one molecule is present in the greatest amount and has the most dramatic effect in a human body — but along with it are variations of that molecule in the same plant. For example, for several years, I did ethnobotanical study in South America, researching native uses for coca leaf, which most of us know only as the source of the isolated, problematic, addictive drug cocaine. For Andean Indians, whole coca leaf is the number one medicinal plant. They use it to treat gastrointestinal disturbances; specifically, for both diarrhea and constipation. From the perspective of Western pharmacology, this makes no sense. Cocaine stimulates the gut, it increases bowel activity, so obviously it would be a good treatment for constipation, but what could it do for diarrhea except make it worse? However, if you look carefully at the coca leaf’s molecular array, you find 14 bioactive alkaloids, with cocaine in the greatest amount. While cop>caine acts as a gut stimulant, other coca alkaloids can have precisely the opposite action, they inhibit gut activity. This means that when you take the whole mixture into the body, the potential is there for the action to go in either direction. What decides it? The state of the body, which is a function of which receptors in the gut’s tissues are available for binding. During my time in Andean Indian communities, I collected many reports about whole coca’s paradoxical, normalizing effect on bowel function, and experienced it firsthand, as well. Herbs like coca that can “tone” the body and bring it back to homeostasis are known as adaptogens, a term coined by Soviet physician and scientist Nikolai Lazarev in 1947. Examples include schisandra, reishi mushroom, eleutherococcus and ginseng. Asian ginseng, for example, has an array of active constituents known as ginsenosides. One of them, Rg1, can stimulate the nervous system, while another, Rb1, has been found to calm it. But even this is an oversimplification. Other constituent cofactors apparently increase the adaptogenic properties of ginseng, making the therapeutic whole more than the sum of its parts. Ultimately, this non-specific response boosts resistance to stress — whether the stress is physical exertion, infection, or some other problem. So using whole-plant remedies is a fundamentally different — and, I would argue, often better — way to treat illness. In Western medicine, we typically give the body no choice. We use single compounds that, essentially, shove physiology in one direction. Let me be clear — sometimes, that is very appropriate and valuable, if the body is dramatically out of balance and must get back on track very quickly. For example, during a case of anaphylactic shock, there is no time for the body’s receptors to select specific effects, so a drug such as pure epinephrine can be lifesaving. But in many cases, particularly with the chronic, degenerative diseases of modern civilization, there is time to allow the body to participate, to choose just what it needs. As it slowly heals, it can develop a new balance; a dynamic equilibrium that helps it cope with stress in the future. So I will continue in my lifelong skepticism, and persist in my belief that plants are (usually) better than pharmaceutical drugs. Andrew Weil, M.D. is the founder and director of the Arizona Center for Integrative Medicine and is the editorial director of DrWeil.com.